In celebrity news, Ariana Grande is opening up about life after her split from Pete Davidson. What are some ways to move on after a break-up? In celebrity news, fans of Ariana Grande and Pete Davidson were shocked to hear of their recent split. However, the celebrity couple’s loved ones are relieved that their fast paced relationship came to an end. 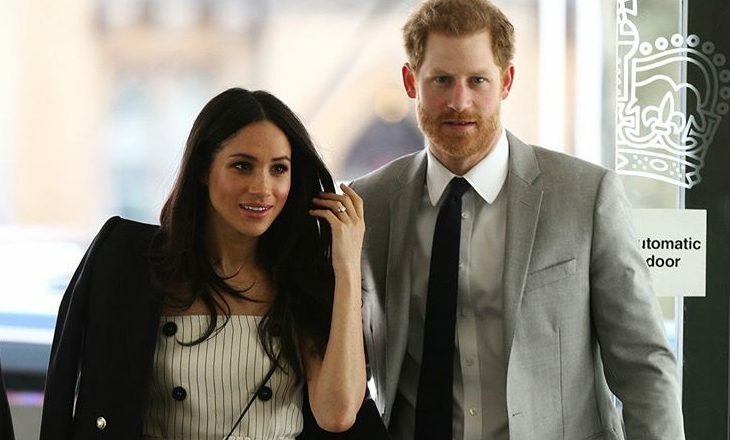 The pair became engaged in June only a few weeks after they had been dating. The singer’s family members didn’t want her marrying Pete and told People, “Ariana never got to the wedding planning stage. It was all way too soon.” The pair is no longer living together, and Grande’s supporters believe she should take time to focus on hersel. This celebrity break-up isn’t necessarily a bad thing in the eyes of the couples’ loved ones. What do you do if a friend or relative is dating someone you don’t approve of? 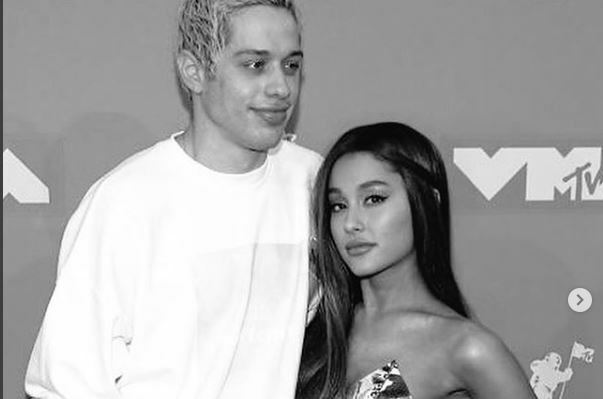 In celebrity news, Pete Davidson spoke out about his recent break-up from pop singer, Ariana Grande. The celebrity couple had called off their engagement following their quick summer romance. Davidson made his first stage appearance since the split where he was able to jokingly ask for a roommate as he now is living with some family. EOnline.com reported that the SNL star has been covering up tattoos related to the split. “Um, I’ve been covering a bunch of tattoos, that’s fun,” Davidson told his audience. “I’m f–king 0 for 2 in the tattoo [department]. Yeah, I’m afraid to get my mom tattooed on me, that’s how bad it is.” The pair is taking time for themselves to heal and move on from the break-up. The topic of this celebrity break-up is no longer under wraps for Pete Davidson. What are some ways to come to terms with your split publicly? In celebrity news, singer Ariana Grande has decided to take some time off from the internet. Grande made this decision on October 16, shortly after the news came out about her split from Pete Davidson. The celebrity couple split and called off their engagement just months after becoming engaged. The pop singer also taped a performance for the upcoming NBC special A Very Wicked Halloween where her makeup artist shared a post in which she was no longer wearing her engagement ring. According to UsMagazine.com, Grande posted in a now-deleted Instagram story, stating, “it’s hard not to bump news n stuff that i’m not tryna see rn. it’s very sad and we’re all tryin very hard to keep goin. love u. and thank u for bein here always.” The singer has returned to work, but the SNL star is still taking time for himself. This celebrity break-up came on just as quick on the engagement did. What are some ways to cope with a sudden split? In celebrity news, singer Ariana Grande and SNL star Pete Davidson have split and called off their engagement. The celebrity relationship was a quick romance which turned into an engagement in June. Grande and Davidson told TMZ that it was not the right time for their relationship to take off. The couple’s split follows the death of Grande’s ex, Mac Miller. According to EOnline.com, Grande needs some time. Her team says, “Given the events of the past couple of years, Ariana is going to take some much needed time to heal and mend.” The romance moved pretty fast, and now Grande and Davidson are taking time for themselves. This celebrity break-up comes after a whirlwind romance and engagement. 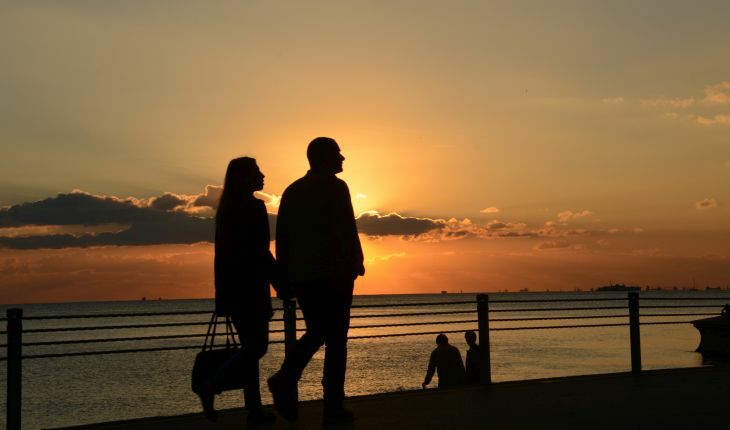 What are some things to consider when it comes to timing in a relationship? In celebrity news, celebrity couple Pete Davidson and Ariana Grande are facing a bit of criticism from an upset fan. According to UsMagazine.com, Grande was seen wearing Davidson’s late father’s FDNY badge. After someone called it disrespectful, Davidson explained why he gave it to her. Davidson described Grande as “not just any girl” and said his father would have loved her. Looks like Davidson as no problem defending this celebrity relationship. In celebrity news, Pete Davidson referred to Ariana Grande as “not just any girl.” What are some ways to make your partner feel special? In celebrity news, newly engaged celebrity couple Ariana Grande and Pete Davidson are heating things up with new tattoos and apartment shopping. On June 18, Grande, 24, posted on her Instagram story a photograph of her hand next to another, both bearing new tattoos reading “H2GKMO.” According to UsMagazine.com, fans on social media explained the acronym means “honest to God knock me out,” which is one of Grande’s favorite phrases. The “No Tears Left to Cry” singer tagged Davidson in the post, along with two other friends. Tattoo artist Jon Mesa shared a post on Instagram revealing that Davidson got a tattoo in the same location as Grande, instead bearing the words “REBORN,” inspired by the Kid Cudi album. Grande also posted on her Instagram story a video of the Saturday Night Live star lifting up his shirt while the two were shopping for rugs together for their new apartment. The Grammy Award nominee revealed on June 16 that she and Davidson were moving in together with an Instagram Story stating “Us in our new apartment with no furniture 1 speaker and red vines” along with a humorous photo of Sponegebob Squarepants. It’s clear Grande and Davidson’s relationship is getting serious, considering their new engagement and Davidson’s two tattoos he got in honor of Grande on June 2, a black bunny ears mask behind his ear and “AG” on his thumb. This celebrity couple got some permanent ink to solidify their love. What are some ways to show the world you love each other? In celebrity wedding news, Pete Davidson’s ex, Carly Aquilino, is amused by Davidson’s proposal to Ariana Grande. After only a few weeks of celebrity dating, Davidson proposed to Grande. 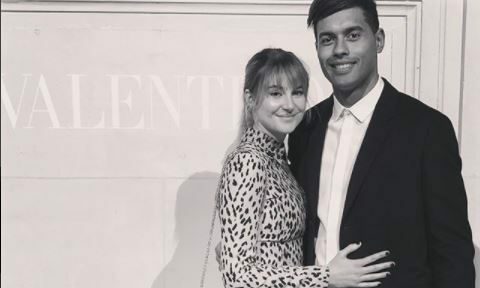 Aquilino took to social media to express her feelings towards the new celebrity couple. Aquilino posted screenshots of conversations with friends where she pretty much laughs at the new celebrity relationship. I guess Davidson and Grande will have to live without Aquilino’s blessing. 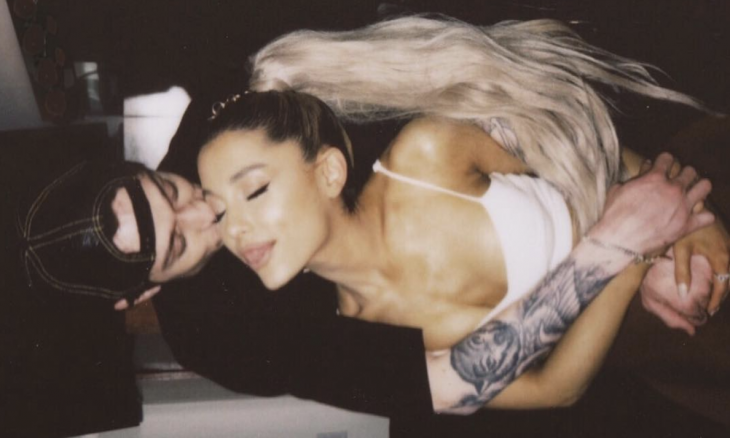 In celebrity wedding news, Pete Davidson’s ex is seemingly laughing at his engagement to Ariana Grande. What are some ways to keep your ex from affecting your new relationship? …Don’t delay! 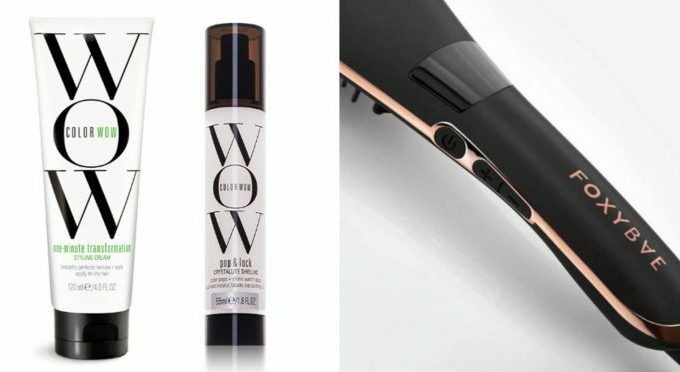 Find out which of these brand new beauty trends in hair care is right for you! Single Celebrity Ariana Grande: Tearing Down Double Standards? Ariana touched on one of many examples of double standards when it comes to relationships and love and is hitting a nerve because what she wrote about does often seem to be true. Single celebrities have more fun! 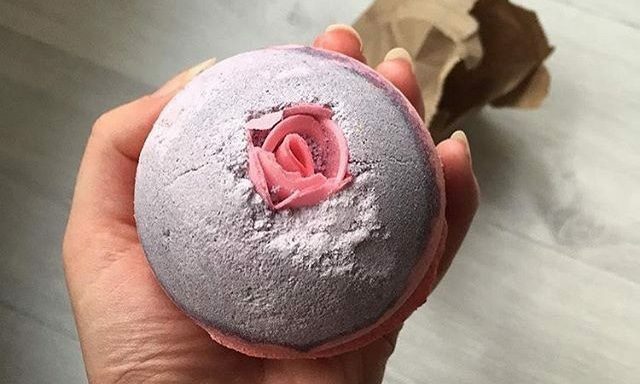 What are some ways to gain your own identity back post break-up? Cupid strikes just before Valentine’s Day, and new celebrity couples feel it’s time to put their affection on display. According to UsMagazine.com, the latest celebrity news is surrounding celebrity couple Ariana Grande and Big Sean as they recently made their relationship and love official by hitting the red carpet together at The Grammy’s. The duo started dating over the summer, confirmed their relationship in October, but have made few public appearances outside of performing together. Celebrity couple Ariana Grande and Big Sean made their relationship and love official at this year’s Grammy Awards. What are some ways to announce your relationship to family and friends?